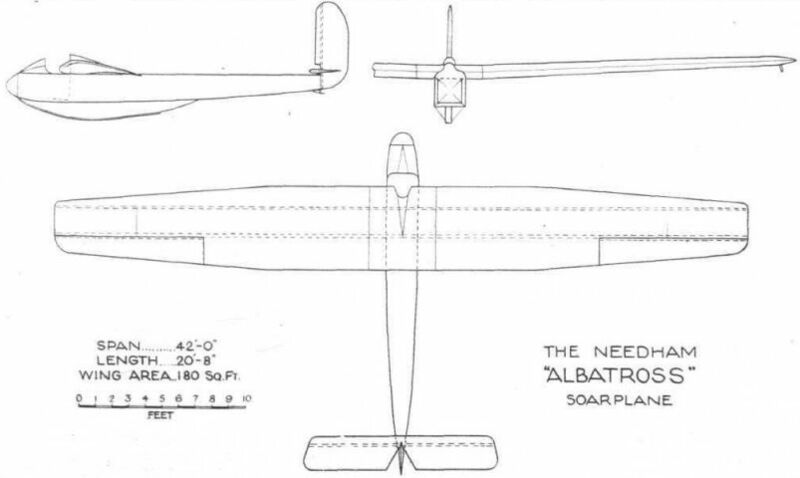 An interesting advanced type of machine which has been designed by Flt.-Lt. Latimer Needham, R.A.F. This is now being constructed and should be admirable for those pilots who have attained proficiency in the training type glider. At a later date we hope to publish full details of this machine.